When we’re out doing jobs at clients premises, we often notice potential electrical risks and hazards that the home owners are unaware of. At Unified Electrical we want to make sure that your home is as safe as it can be and complies with all the latest safety legislation. That’s why, for a limited time only, we’re offering a free electrical safety inspection for Brisbane residents. 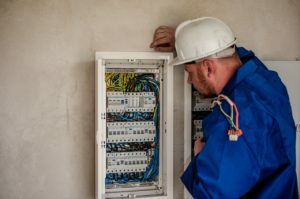 Our friendly, licensed Brisbane electricians will go through your property, identify any obvious electrical problems and offer honest, qualified advice on what needs to be resolved and how urgently it needs doing. What’s Included In The Free Electrical Safety Inspection? Call us now to book your free electrical safety inspection with one of our fully licensed Brisbane electricians and make sure you protect your most valuable assets.